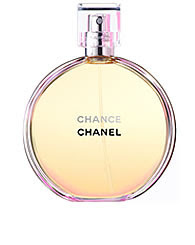 Chanel Chance Perfume for Women 3.4 oz Eau De Toilette Spray A light fragrance, filled with vitality and energy. Spray lavishly over the body. Subtly sensual fragrance evolves from one moment to the next, surprising you by its metamorphosis. Every moment is unique.